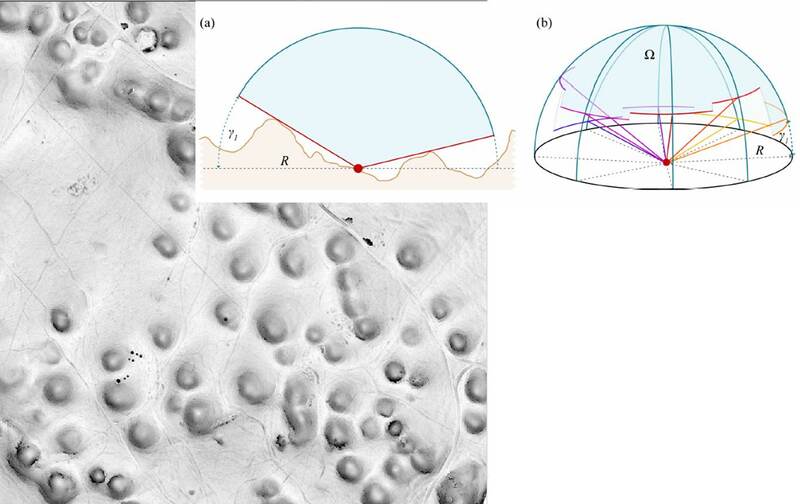 Airborne Laser Scanning (ALS), or lidar, has been described as one of the most important innovations in data collection and interpretation for archaeology in recent years (Bewley et al. 2005). Certainly, ALS has become an important part of the archaeologists toolkit. First, and perhaps foremost, it has been employed in mapping and prospection surveys in woodland, scrub and open ground. Critically, it may provide the only means of survey -and consequently the collection of archaeological information- in difficult to access areas. Beyond prospection, ALS is now used in research and cultural heritage managements tasks ranging from assessments of the impact of hydrology on site locations, to the calculation of inter-visibility of a network of sites, to the analysis of landforms to create inputs for predictive modeling. The popularity of ALS for studying forested areas, floodplains and rural areas in general has renewed interest in the topic of topographic survey, and further spurred integration with digital technologies and applications. The growing use of ALS in archaeology has raised a number of issues, briefly outlined here. 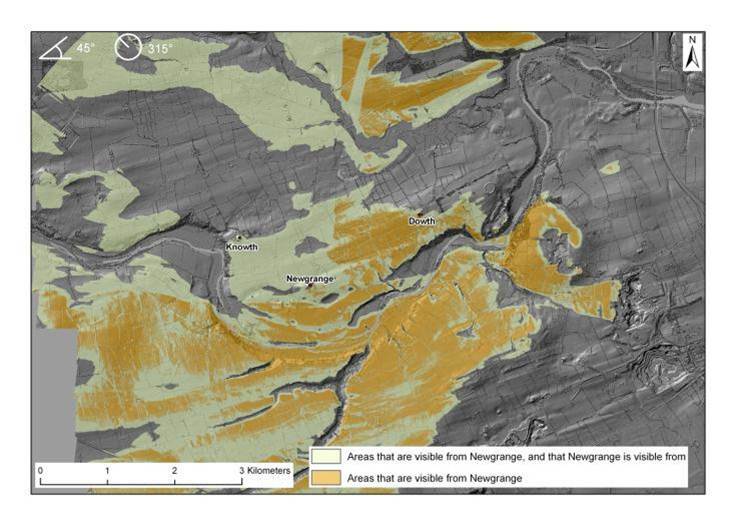 Points incorrectly classified as low vegetation (dark green) which should be terrain (orange). 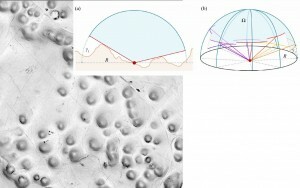 Archaeological applications demand high quality processing and classification of the ALS data. Because many buried or surface archaeological features are both small scale (in xy) and low relief (in elevation) and are often in woodlands or other heavily vegetated areas, good alignment within the point cloud is necessary to minimize noise, and a good classification is necessary to distinguish between low vegetation and low relief terrain features which may represent archaeological remains. Processing and visualization clearly affect interpretations. There are many possibilities to generate new models and visualizations, and a concurrent possibility of continually tweaking parameters in the hope of ‘improving’ the model. 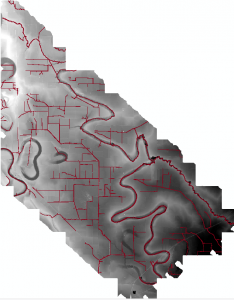 Archaeologists undertaking a project using visualizations should pose two questions. First, how much information can be retrieved, and with how much effort? Crutchley (Cowley and Opitz 2013) observes that if one model gives 90% of the nominal ‘total’ information, then the decision not to chase the other 10% may be a practical one. This pragmatic approach avoids the dangers of loosing sight of survey objectives in an endless round of data processing and manipulation. However, assessing the cost/benefit and deciding where to stop data manipulation, because a certain approach gives enough information for the task at hand, is not always obvious. 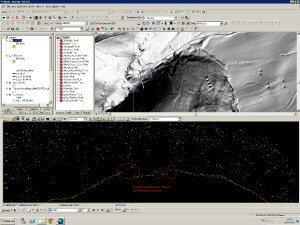 Simultaneous viewing of the point cloud, in profile or as a 3D model, alongside the shaded terrain model is common practice. 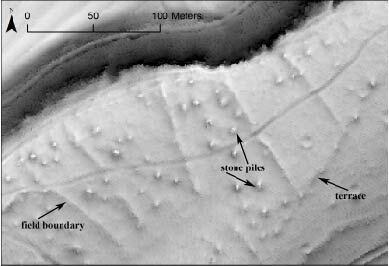 The combined information from multiple views of the same data helps interpreters to understand if a small bump is likely to be a potentially archaeological mound, or built up soil around the base of a particularly large tree, not fully removed by the filtering process. -interpretation process: reliability of the results (qualitative if quantitative evaluation is not possible, e.g. low to high, description of each class is recommended). The ArchaeoLandscapes Project is an EU based project promoting the use of remote sensing and surveying technologies in archaeology. Their website is an excellent resource for both general information and case studies about the use of ALS in archaeology. 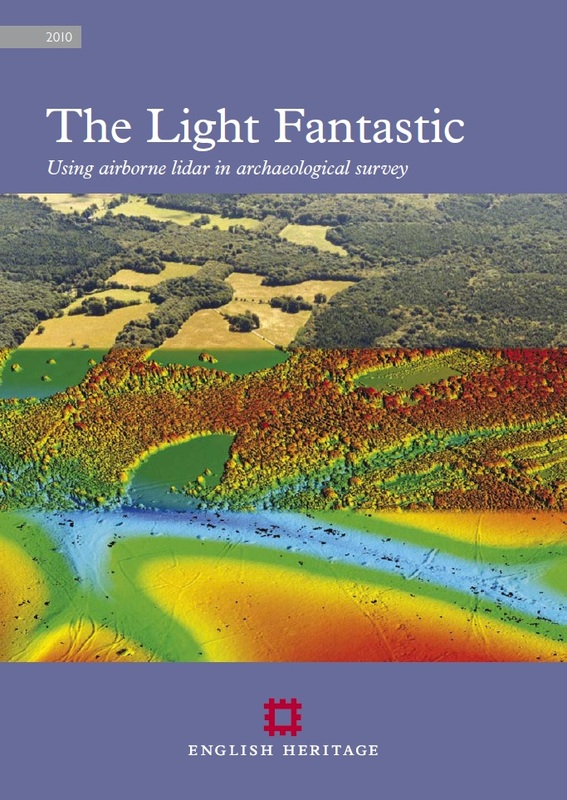 The English Heritage Guide to Airborne Laser Scanning provides good information on the use of ALS in the context of a national cultural heritage management organization. Please cite this document as: Opitz, Rachel. 2013. ALS and Archaeology.CAST Technical Publications Series. 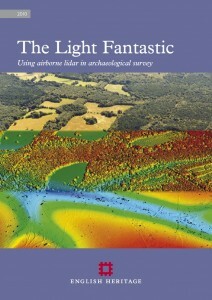 Number 11960. http://gmv.cast.uark.edu/scanning/airborne-laser-scanning/als-and-archaeology/. [Date accessed: 22 April 2019]. [Last Updated: 22 March 2018]. Disclaimer: All logos and trademarks remain the property of their respective owners.